The current issue of Passenger Train Journal has a story on the UTA commuter service and there are pics that show the exMetra Pullman cars parked in the yard. Yesterday, I saw a couple on the UP-NW in Arlington Heights, so I retract the statement. Is there one on the RI? I see one that looks just like this. Also, are there some BNSF cars (the 3 digit car numbers) being used on SW Service? Heres PS #7825 I caught this on the Kennedy Inbound at Irving Pk yesterday morn while heading to the firehouse. What a beauty huh??? Looks nice with clean trucks. I hope IRM will try to aquire one of these when theyre re-retired. I would be interested in helping with funding. Heres PS #7825 I caught this on the Kennedy Inbound at Irving Pk yesterday morn while heading to the firehouse. What a beauty huh??? I hope IRM will try to aquire one of these when theyre re-retired! I saw a bunch of them at Metra's yard off the Dan Ryan last weekend. I thought they may have been taken out of service again but yesterday afternoon I took the UP North into the city and passed at least 2 trains with one of the cars. So, how many have they got back at this point? I heard they bought more than five of them. I hope theyre using the cars stored at the 47th st shop. I havent really seen much of them. The #7825 is only one Ive seen lately on the UP/NW line. them. They are, however, painted in the C&NW colors. In the last two weeks I have seen 7825, 7838, 7840 and 7848 in service on UP lines downtown. Are these cars just randomly placed into service or is there a bigger plan? Is there a reason they wouldn't be put together to form one train? ADA for one. * Also, Metra wanting to have a new cab car. *Even if ADA only requires one accessible car, Metra puts on its schedule that 3 or 4 cars are bike accessible, which only are the ADA accessible cars. I'm sure there would be all sorts of hollering if a train expected to have 3 accessible cars only had the cab car accessible, even though that was the practice before about 2004. Id like to see one in Metra's livery at IRM. The Metra scheme looks so cool. I bought many of these in the N scale Concor cars. Aren't there some painted in the ME scheme? 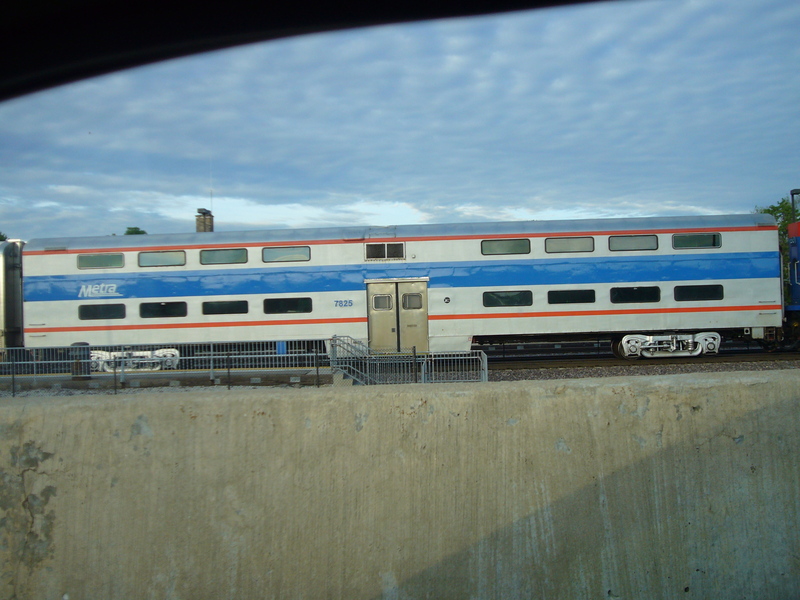 BTW, I saw Metra car 8233 at the 123rd/Indiana ME yard. It was standing alone, witth the center door covered up. What does this mean? This did remind me: While in D.C. last week, I did manage to see a whole bunch of 7800-7900 series cars on the VRE and MARC systems. I wasn't able to ride them, but it was quite interesting to see this on other rail lines. They got more than 5 cars if you go by the rail yard at 51st/Wentworth you'll see at least 10 more sitting on a side track. So, the winner is D. What do we have for the contestant, Monte? The question is with gas prices (at least temporarily) down, and employment in the Loop undoubtedly down, whether they are as needed as perceived about a year ago, when the repurchases started. I finally got to ride in one of these....7840. It was a better ride than the new cars! The five acquired from VRE are 7825, 7836, 7838, 7840, 7848 and needed very little work to reenter service. On some of them you can still see their VRE V numbers. Metra then reacquired 13 cars from UTA, Salt Lake City. These were still in old RTA livery (brown, orange and fawn) and were in quite a state! They had not been used in Utah, others out there were scrapped as they were beyond saving. These are slowly entering service after complete refurbishment including painting, replacing all the glass, floor coverings etc - They smell like new cars if you ride one and you can see out of the windows! So far I have seen 7787, 7806 and 7811 in service in Blue and Grey. So they are not painted like the rest? What line are they on? 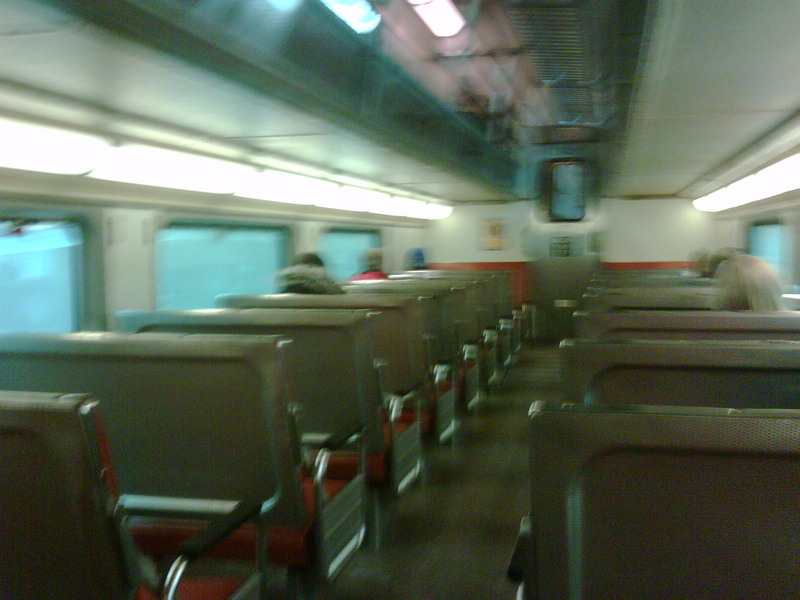 The ex UTA ones that are in service are in the current painted Metra scheme (see http://web.me.com/willvdv/chirailfan/rosmetpp.html scroll down to PULLMAN STANDARD COACH (METRA)). They were received from UTA in the older rta scheme (see PULLMAN STANDARD COACH (RTA)). The Rock Island inspired colors look good on an F40PH. Too bad they didn't use Bankrupcy Blue. Life-Like painted up their F40PH model in that livery quite some time ago. Was born in Iowa City myself. Someday I want to head out there and see this train.